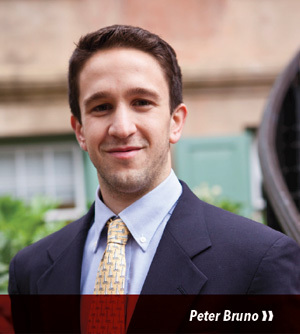 Peter also became active in the Center for Public Choice and Market Process – a faculty-student collaboration that focuses on economic issues by bringing speakers to the College and staging events. “Each year, the group puts on Adam Smith Week in the spring,” he explains, “and we also orchestrate a book colloquium. One year, we read In Fed We Trust, by David Wessel. Our program can prepare you to work in numerous areas whether that’s banking, manufacturing, transportation, insurance, retail, real estate or another field. All of these industries rely on economists, and our faculty includes specialists in a number of diverse areas including gambling, international trade, economic development and environmental economics. Our department is also home to the College’s Office of Economic Analysis and the Center for Public Choice and Market Process. ❱❱ We use innovative teaching methods and offer students numerous opportunities for hands-on research and real-world experience.